Roisin McFelly of Amazing Brains at the De La Salle High School. 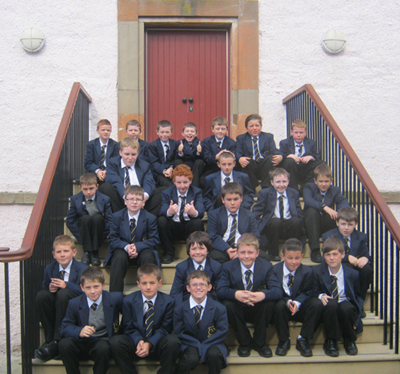 De La Salle High School Year 8 students recently visited both St Patrick’s Centre and Down Museum. This trip not only allowed the students the opportunity to build relationships with their new classmates and teachers, but also the prospect of learning about the history of their local community. 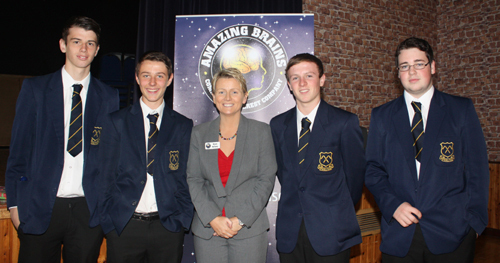 Roisin McFelly from Amazing Brains visited De La Salle High School on another occasion to deliver an informative session on study tips and techniques for Year 12 Students. Roisin discussed lots of different techniques including mind maps, time management, Mnemonics and various other memory tools to aid their future study. The students were fully engaged and gained a lot of useful information from this interactive event. De La Salle High School pupils pictured on the steps of the Governor’s Residence at the Down County Museum.